You can most likely provide your own achilles tendon pain relief. The solutions are often not complicated ……usually someone just needs to show you what to do. Take your time and just follow along with the videos below. The stretches presented in this video can be very effective. 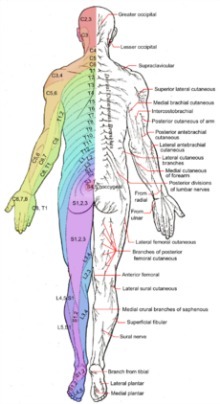 Many, many times in my practice, just freeing these areas provides most of the pain the relief my patients are seeking. This stretch can take a bit of time to set up, but it is well worth the effort you put it. This is actually a "restorative pose" from the Iyengar style of yoga. It gives your body the time and support it needs to release tension in certain muscle groups that can otherwise be stubborn when it comes to letting go. Do make sure you are comfortable before you sit in this position for the time you desire. And also make sure you go very slowly when you come out of this stretch. Roll on your side first, lie there for at least a few seconds and then take your time getting up. This stretch (restorative pose) is a great, great tool to have when you need it. This is a great stretch, that I use regularly because it is both very effective and very easy to perform once you get the hang of it. I'd encourage you to "play" in this stretch bit. Once you are in position, play with flexing and relaxing the muscles you are stretching. Play with the angle of force you are creating with your arms as you pull to do the stretch. Lastly, as I always recommend with this stretch, don't do one side entirely and then do the opposite side entirely. Switch back and forth from side to side as you do this stretch and you'll notice even better results. Notice how much achilles tendon pain relief this one technique provides. This stretch is pretty simple to do once you take the time to position your front foot so that you do not feel this stretch in your front knee. Then, just like the above stretch, make sure to "play" with different angles by leaning your chest in different directions AND switch back and forth from side to side often and you'll notice superior results. The best resource for those who still have questions about this stretch is to visit my Best Hamstring Stretches (click here). In these new videos I offer a few more options for stretching your hamstrings that are not in the above video. Tight hamstrings can play a big role in achilles tendon pain, so it's worth your time to make sure your hamstrings are as free as possible. We want to release the muscle on the front outside half or your shin that pulls your foot up with every step you take. 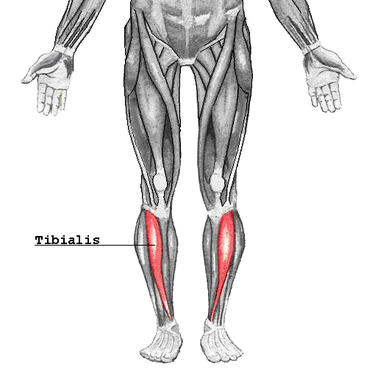 If this muscle called the tiibialis anterior is tight it can play a role in your ankle pain. Using your fingertips you'll probably want to always use the hand-on-hand technique as you alternate doing the press-pull-release technique and the press-hold-move technique. The reason you'll want to go with the hand-on-hand technique is twofold. First, this muscle can take a lot of pressure to get it to release. Second, your fingertips will be happy to get the assistance. This is a fairly large muscle, so you'll want to pace yourself. But cover the entire muscle from the bottom of your knee all the way down to the top of your ankle. Your outer lower leg muscles could be causing your ankle pain as well, especially if your pain is on the outer edge of your ankle. I would also do my best to use the hand-on-hand technique to get good pressure on this tissue if you can. 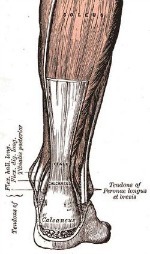 The peroneal muscles that you'll be working on can take a fair bit of pressure. Now press-hold-move technique by flexing your ankle out the the side while you press on the tight tissue. And then do the press-pull-release technique on any tissue that needs more work. Okay, we just did the front of your lower leg, so now it's time to do the back of your lower leg. We'll be working to release your gastrocnemius muscle primarily with the stretch we do, but I'd also like you to check out my Best Calf Stretches (click here) page where I also show how to stretch your soleus muscle. Whatever you do, just make sure to take it slow. As long as you go slow, you'll do great. Which techniques gave you the most achilles tendon pain relief? Was there one specific achilles tendon pain treatment that instantly relieved your foot pain? Are you still experiencing some achilles tendon pain? Investigate a bit and you'll eventually find which techniques work best for you to provide the best achilles tendon pain relief. Then you'll be able to fix yourself whenever you desire because you'll have your own personalized achilles tendon pain relief treatment……literally at your fingertips! Click here to see a quick achilles tendon pain maintenance program called the "tennis ball tune-up"
This lower back pain remedy with a massage tool is a wonderful addition to your main program, if you're so inclined.